Well, this seems to have happened in January but didn’t receive the publicity it deserves until the WSJ’s Law Blog covered it recently. Obviously I need better sources in Prairieville, Louisiana. “They were not his first words, but they were a close second and third,” says Dobra. So as Grayson’s second birthday approached, the family had a ready-made idea for a birthday-party theme. Neither did the bakery who made them this cake. 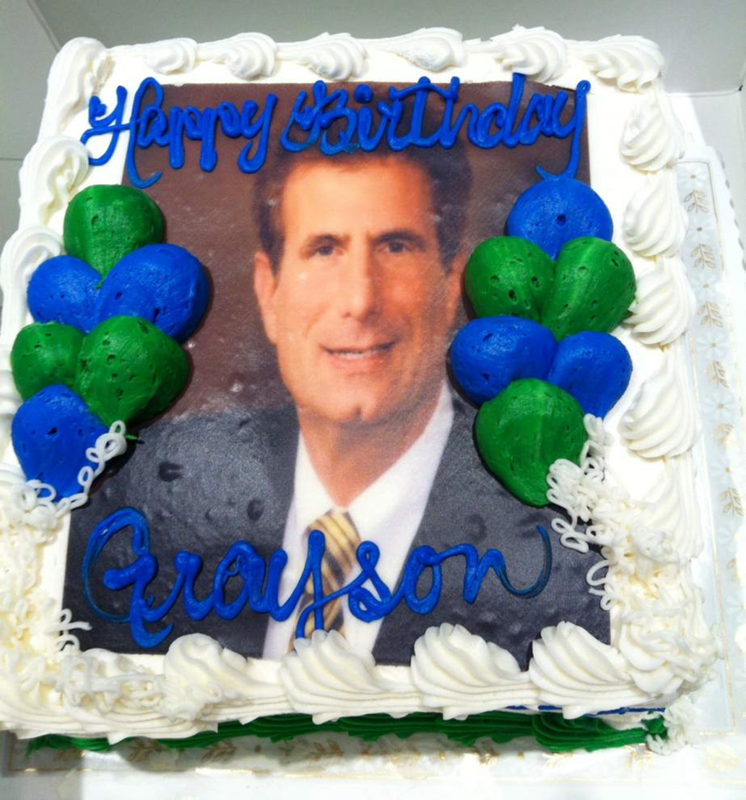 Grayson is said to have loved the party, although his mom admitted he was “kind of shocked” by the life-size cardboard cutout of Morris Bart when he unwrapped it. He seems to have gotten over that, although I don’t think we’ll know for sure unless we have a chance to talk to his therapist in a couple of decades. For now, though, he’s fine.